When a condenser goes bad, the engine will backfire and it will have a noticeable misfire while running or attempting to start. The condenser gives the current a place to go when the points are in the open position. It holds the energy briefly until the points are closed again and then releases it back into the circuit where it flows through the points until they open again. If the condenser goes bad and loses its ability to store the energy, the current jumps across the points in the open position which causes the ignition to fire erratically, resulting in backfiring. The condenser is most often located within the magneto on or near the stator plate, but there is no need to remove the flywheel to test for a faulty condenser. The easiest way to test whether or not a condenser is working is to add another one to the ignition circuit somewhere. Sunday Morning Motors sells a test condenser kit complete with instructions that can be purchased here or you can construct your own similar tester by using just about any automotive condenser found at auto parts stores. 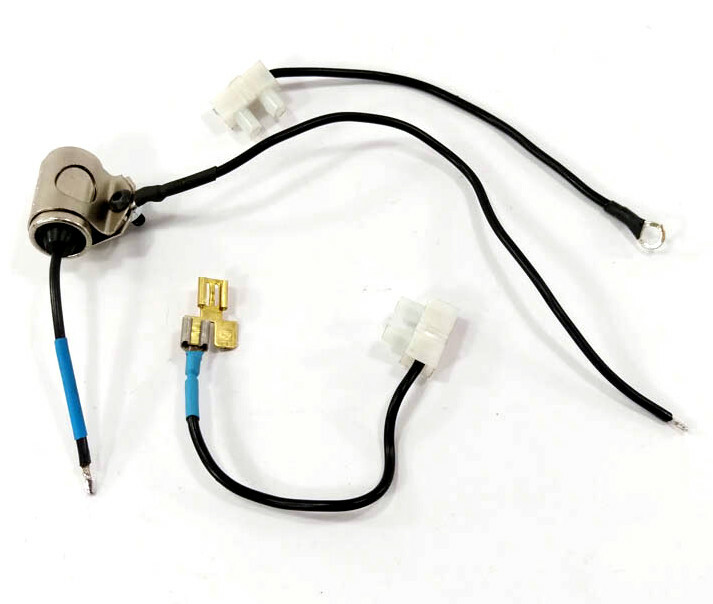 Attach the test condenser by removing the ignition wire from the HT coil and attaching the wire of the test condenser with the splitter terminal connector. 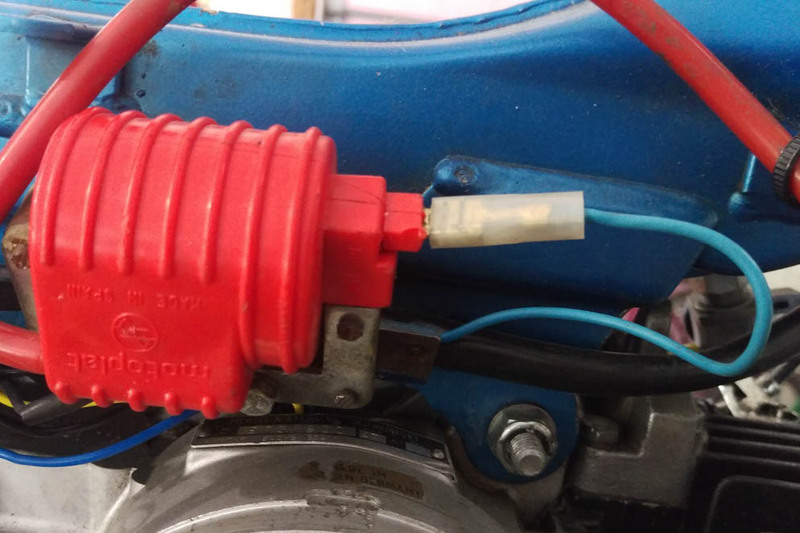 Reconnect the original ignition wire onto the splitter connector as well. Attach the other wire of the test condenser to a ground. Start the engine and the misfiring should disappear. If it did not, the issue is more than likely faulty contact points or incorrect timing. If it did, you can just leave the test condenser in the circuit or remove and replace the internal one. 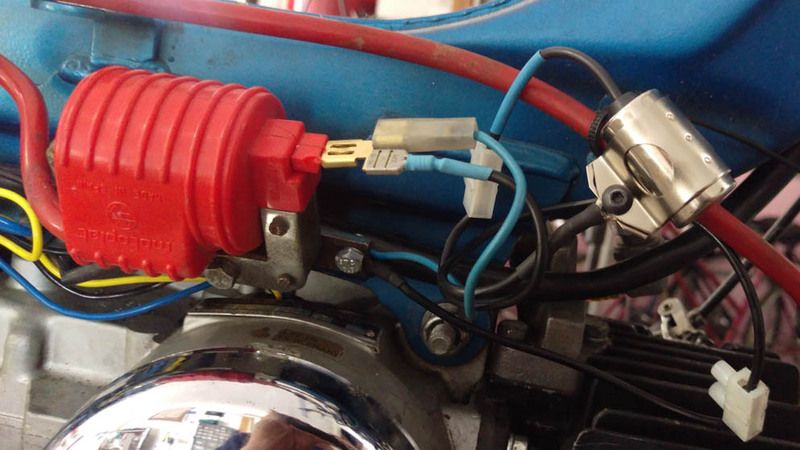 If your moped uses a standard European style terminal strip, you can alternatively attach the test condenser directly to it at the ignition wire and ground connection without using the optional leads.